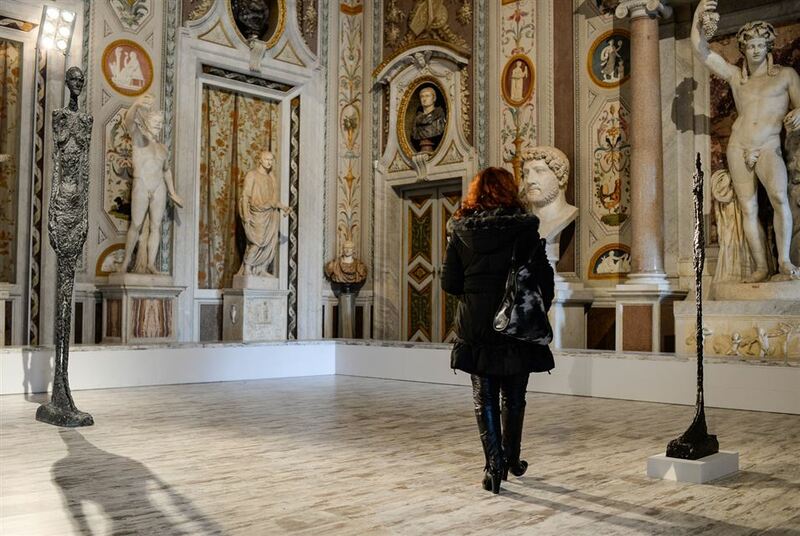 The Borghese family in Rome built an incredible mansion that has been used as a museum for many years. 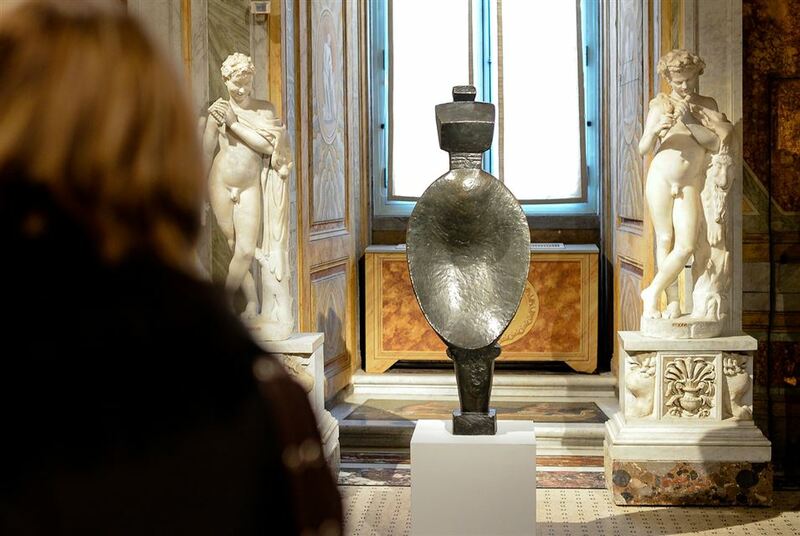 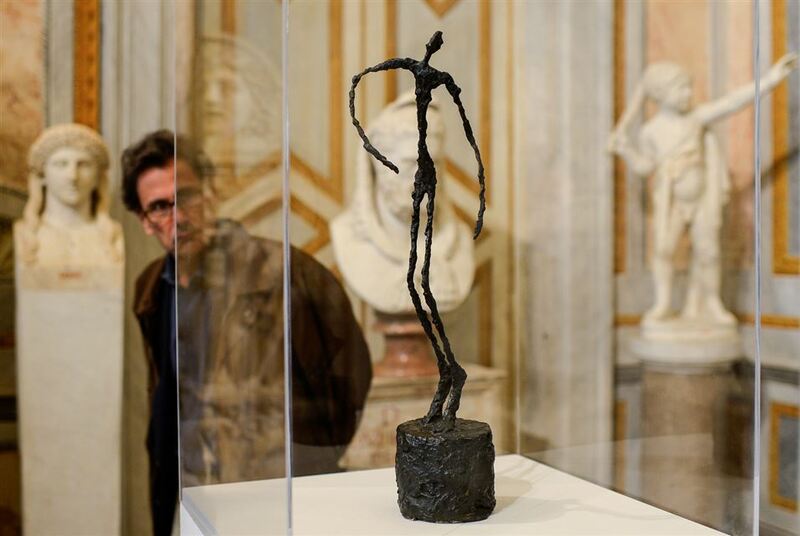 ROME.- A visitor looks at the bronze statue “Walking man I” by Swiss painter and sculptor Alberto Giacometti, as part of the exhibition of paintings and sculptures “Giacometti La Scultura”, at the Galleria Borghese, in Rome, on February 3, 2014. 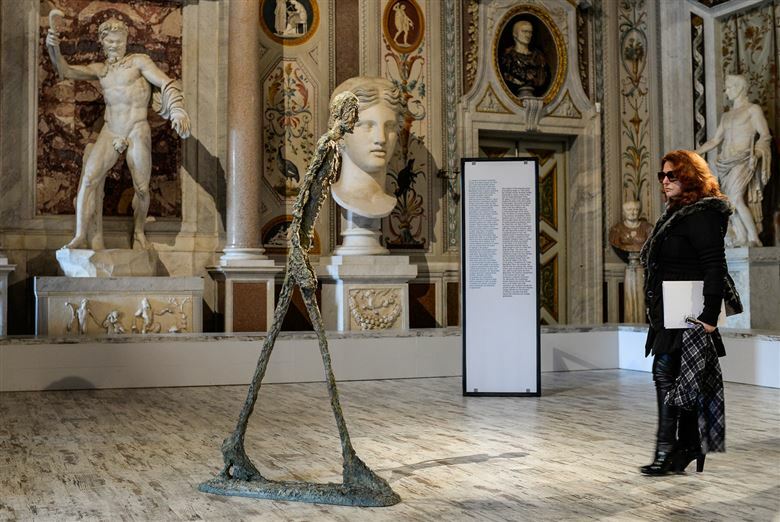 AFP PHOTO / ANDREAS SOLARO.